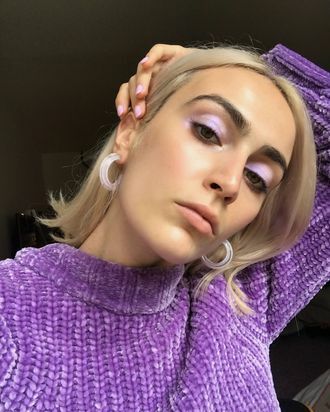 Recently, while falling into an eye-makeup internet wormhole (as one does), I had a revelation: Lavender and lilac products look good on absolutely everyone. 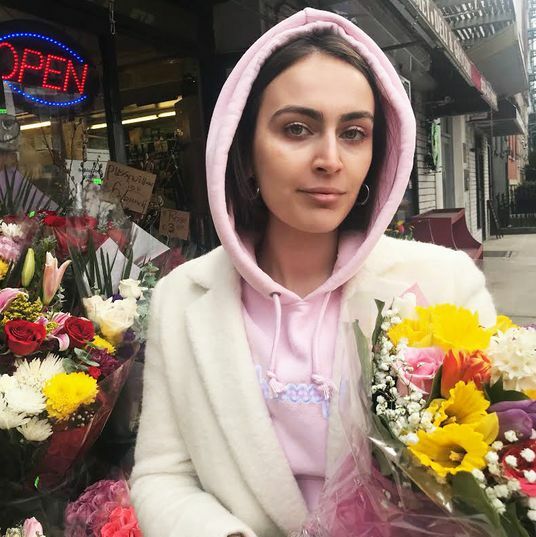 From Lupita Nyong’o to makeup artist Katie Jane Hughes to Solange and Bella Hadid, the look is flattering across the board. Why? I think it’s because the color hits the sweet spot between bold and delicate — it’s eye-catching, but still soft and pretty, and it dresses up a jeans-and-T-shirt look without feeling like a full-on makeup affair. I was in love, and wanted to try out some lavender on myself as soon as humanly possible. 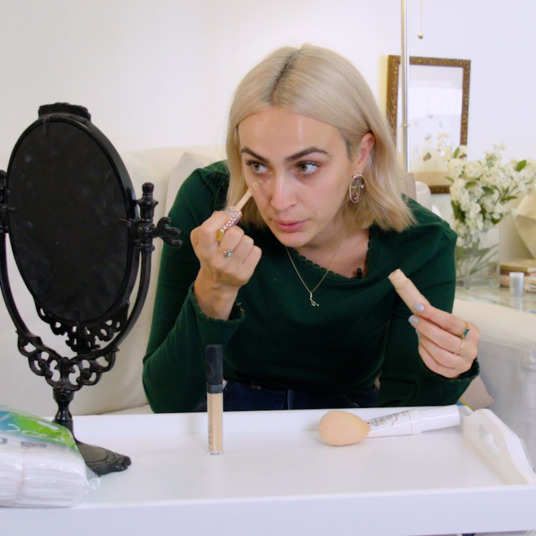 So I set off to discover what products in the shade are easiest to use. I went to Sephora, Ulta, Ricky’s, and CVS and swatched more or less every lavender shade on the market (in all different formulas and styles) in the hopes of finding the most accessible, nicely pigmented products. The end result is that I have about 100 lavender and lilac products, and can’t stop wearing them all. 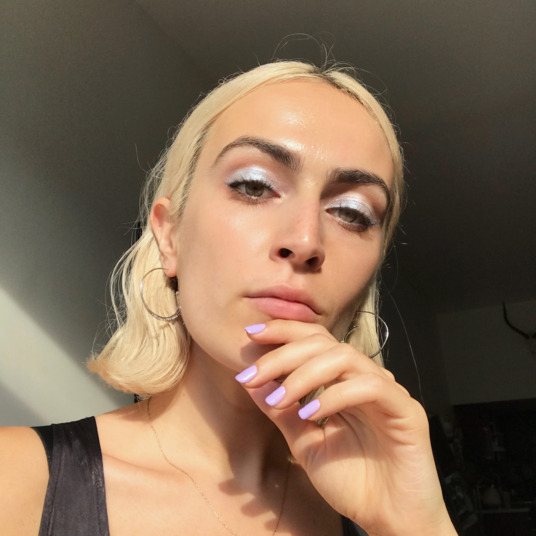 Below, a list of my favorite lavender eye-makeup products, all of which are easy enough for beginners to use. 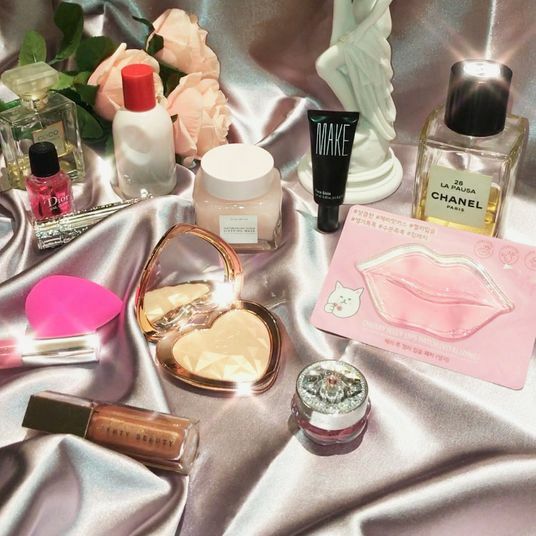 This is a super-buildable, lightweight powder that you can use as either an eye shadow or a powder highlighter. This isn’t straightforward purple, but rather holographic purple, meaning that from some angles it looks silver-ish, from others it looks lavender-ish. In my opinion, this prismatic color is the perfect subtle yet eye-catching, extremely wearable shadow for a soft galaxy glam. It’s also really easy to apply, I usually just use my finger to blend this out on my lid. 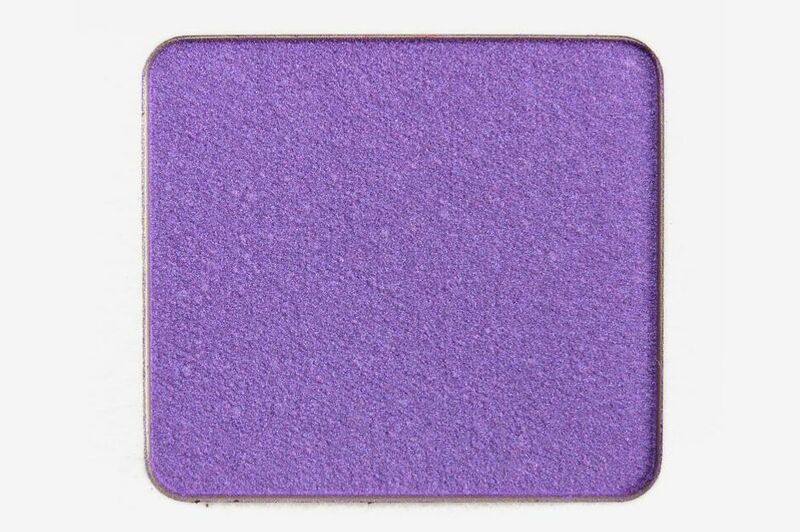 When I first began my hunt for lavender products, I searched high and low for a true matte single shadow. 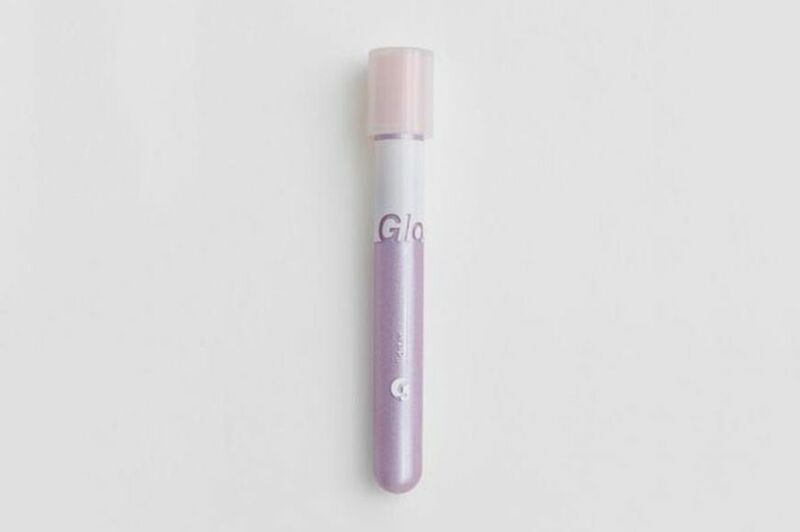 I thought I found that in Cleure’s lavender matte shade, but ultimately was super disappointed with how it looked when I tried it on. 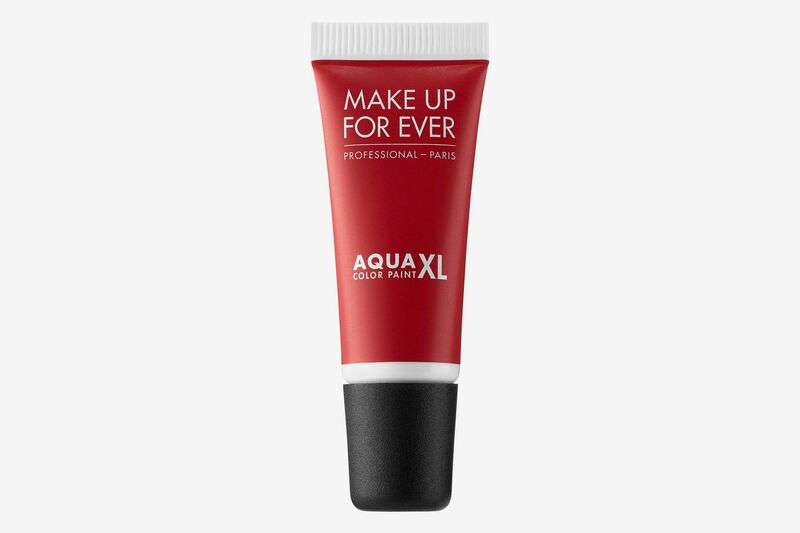 I was thrilled, on the other hand, when I found this product from Make Up for Ever. 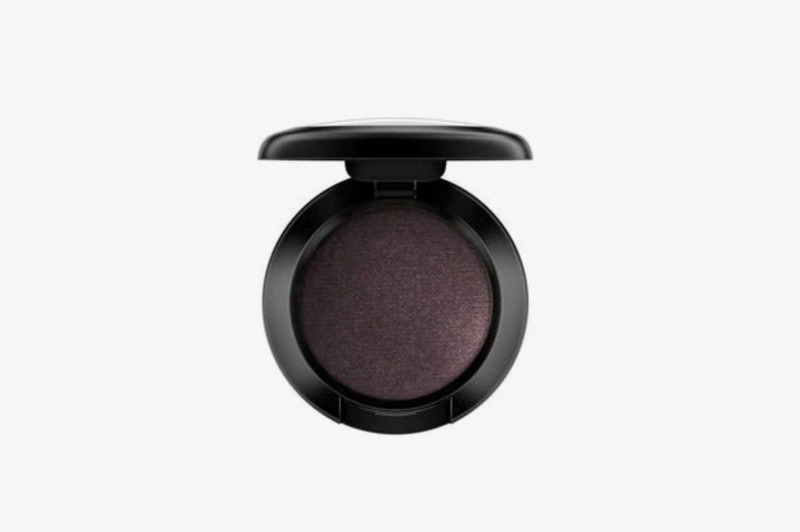 It’s bold, super pigmented, and looks beautiful on the eye. It has a slight shimmer to it, which makes the color look really dimensional. I should mention that this is the only product listed that I use a brush for. Everything else just requires a finger. You wouldn’t think these would look delicate and subtle — the formula is very glittery — but they do! 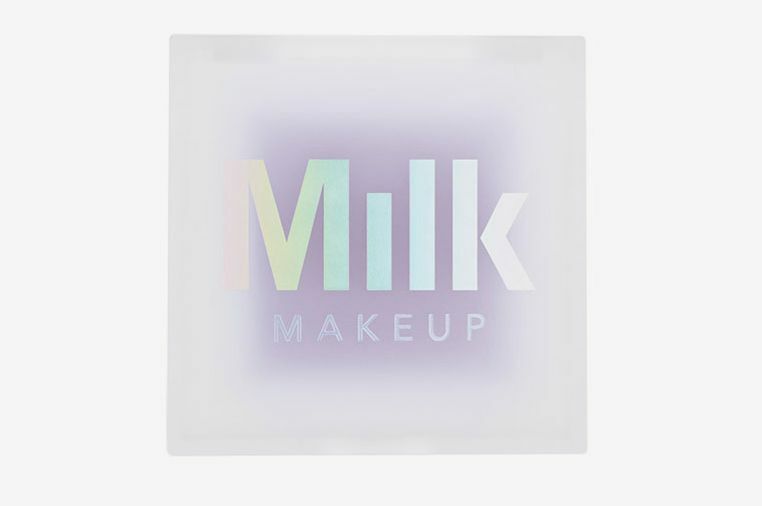 The “Lily” shade is the perfect way to give your lids a lilac shine. 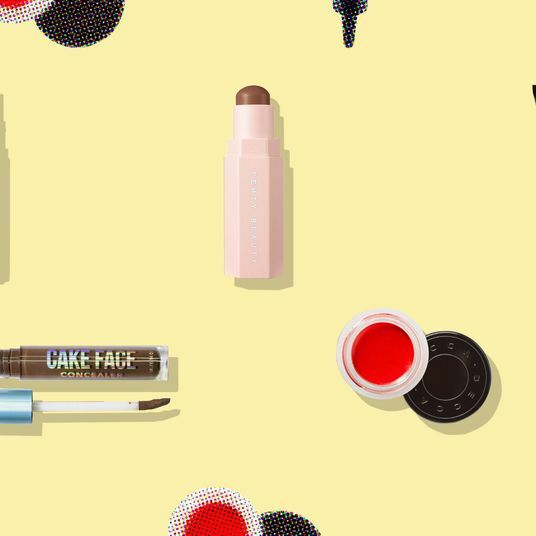 It’s also perfect for makeup rookies, as all you need to do is dip the applicator, then drag the product all over your lids. I would recommend moving as quickly as you can, however, as the product dries fast. 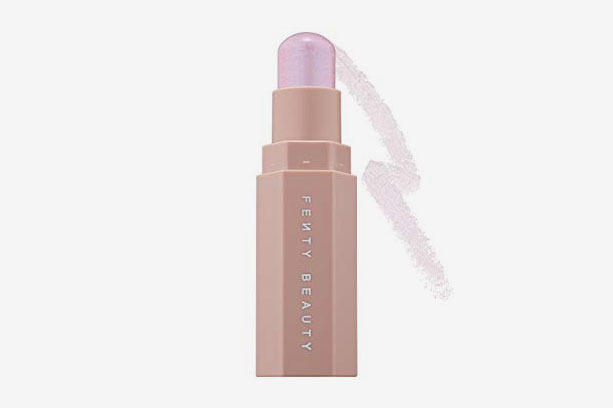 While Lid Star’s Lily and Fenty’s Match Stix Confetti are similar in terms of their soft, subtle glitter, Lily is more of a pearly lilac shade, whereas this is more of an iridescent opal that’s totally wearable. I’ve used it before work and have felt office-appropriate. 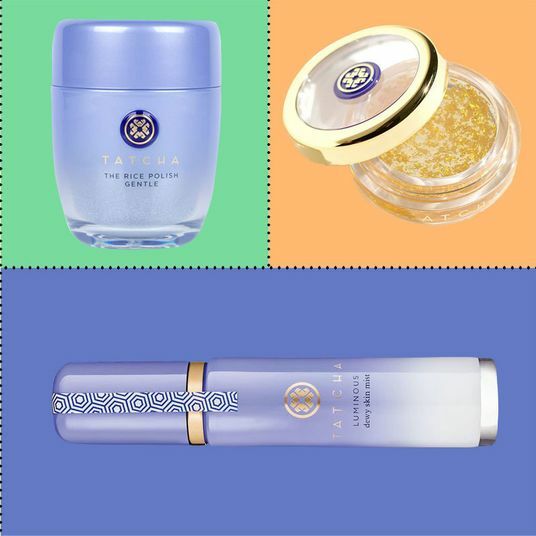 I am obsessed with this product. It’s super creamy and shaped kind of like a big crayon. 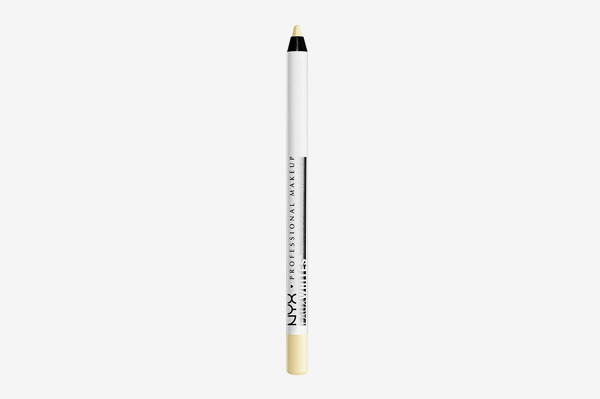 You can use it as a thick eyeliner (just drag it along your lash line) or as a very pigmented eye shadow (put it all over your lid and use your finger to blend it out). In terms of shade, this is a soft, slightly metallic lavender. 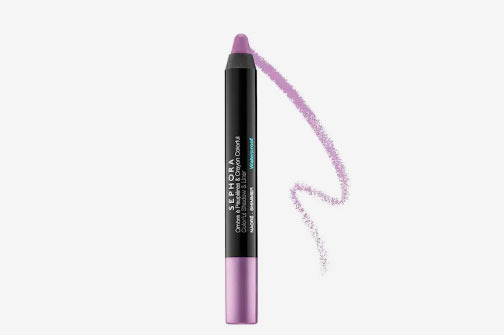 I like using this as an eyeliner on top of Fenty’s Confetti shade for a layered, multi-shade lavender look. 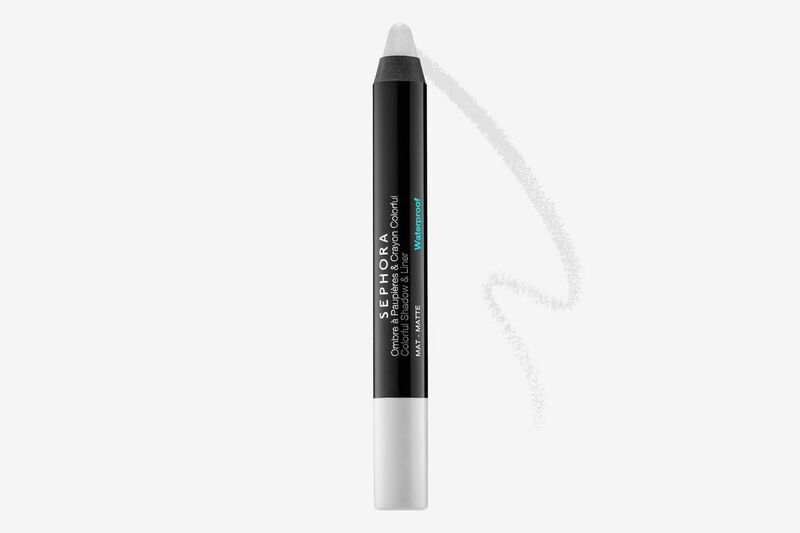 Another great product for eye-makeup newbies — it takes little to no skill. If you want to try a lavender cat-eye, but are not actually good at doing a cat-eye, this kohl pencil in the shade Mist Me (get it?) is what you’re going to want to use. This pencil is really, really easy to get the hang of, and makes drawing a very precise line quite simple. 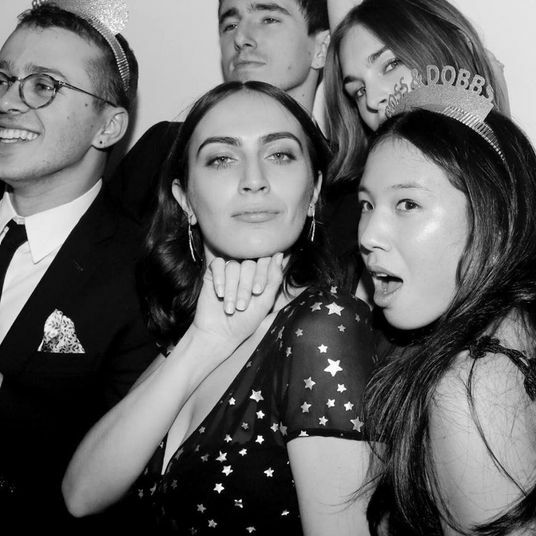 Which is good for me because I’m actually completely useless at cat-eyes. 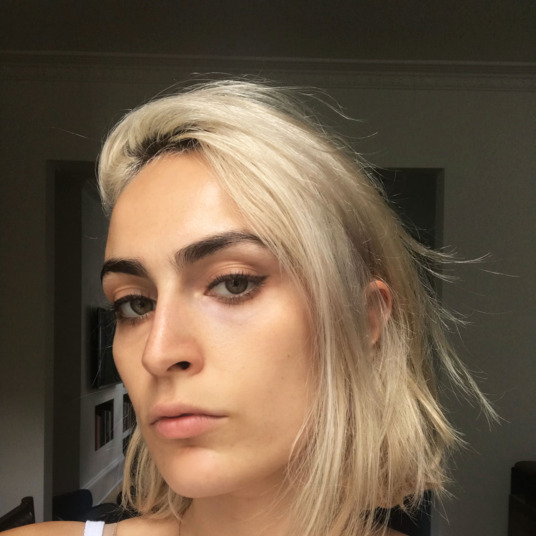 Since this is a kohl, not a liquid eyeliner, you’ll get a nice soft line, rather than a supersharp one, which makes the look come across more casual. 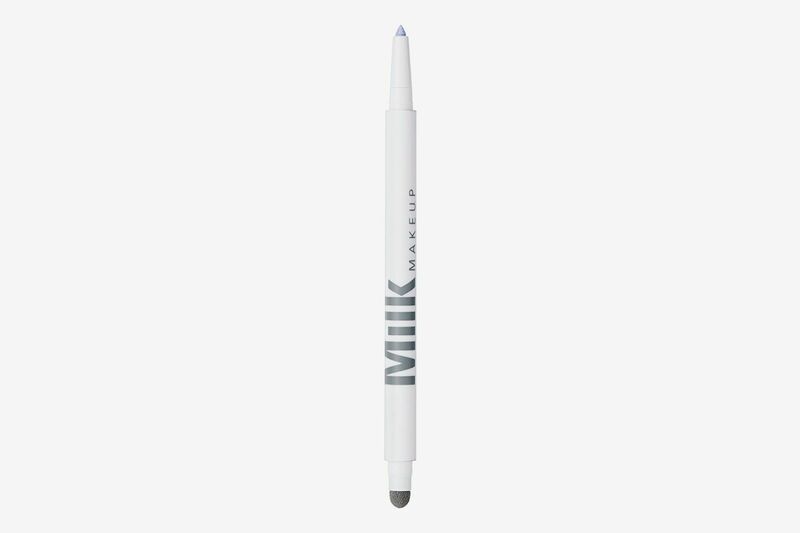 This eyeliner is the Kohl’s version of the Milk Makeup Powder listed above. It’s amazing for getting a more toned-down, subtle galaxy gleam to your eyes without having to commit to having your whole eye look like a nebula. It also has a little blending tool on the other side of the pencil if you want to smoke or blend it out. This is a very different color than the Marc Jacobs listed above. The Marc is more purple purple, whereas this is more silvery-prismatic. 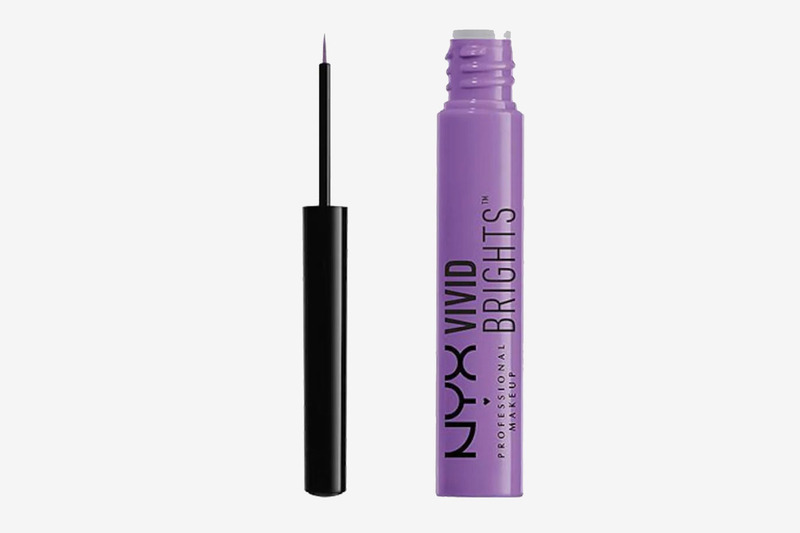 For a perfect, dramatic cat-eye in a lovely lavender shade, use this NYX liquid eyeliner. 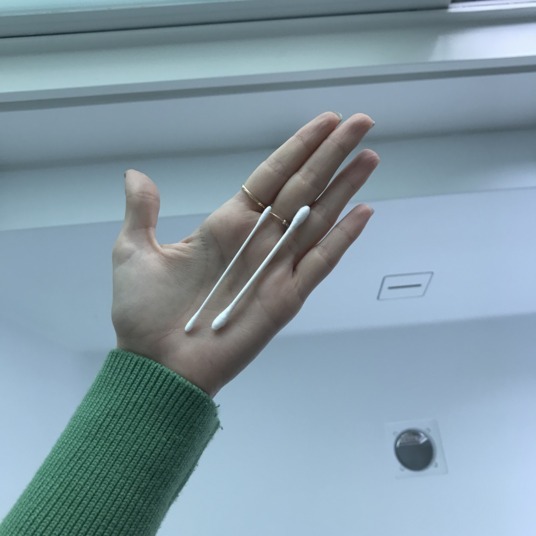 It takes me a while to get the hang of this because the tip is so thin, but if you have a steady hand and/or are good at cat-eyes, this is the one for you. 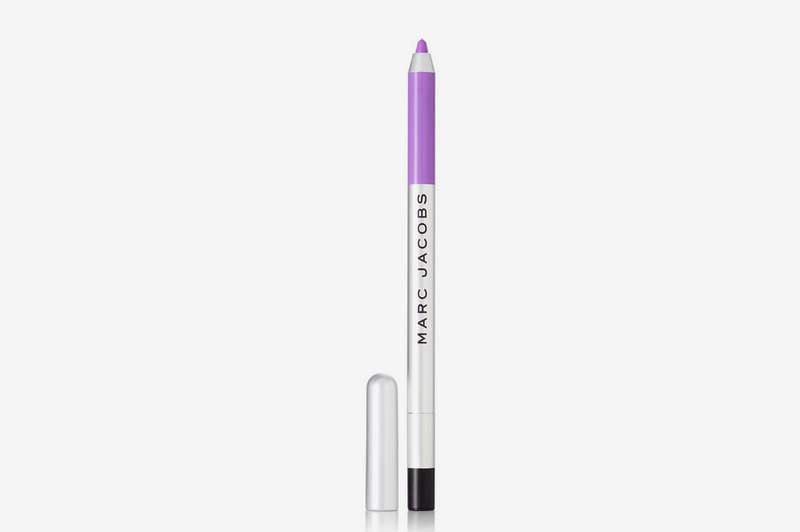 It’s worth noting that this is not a subtle color — it is much bolder than, say, the lavender Marc Jacobs pencil. 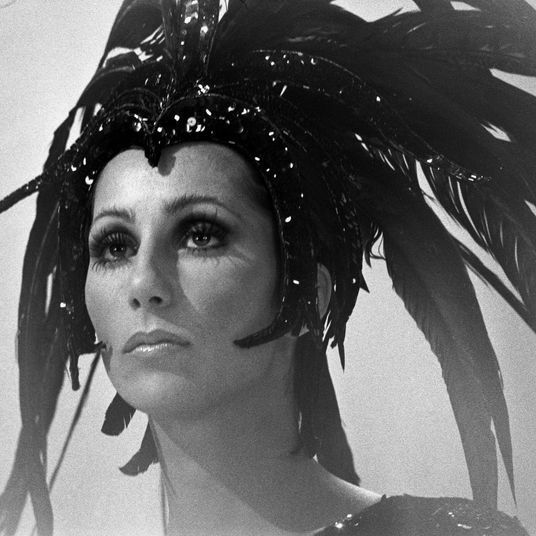 I would probably reach for this one for a special dinner or events where I want to look a little extra glam.